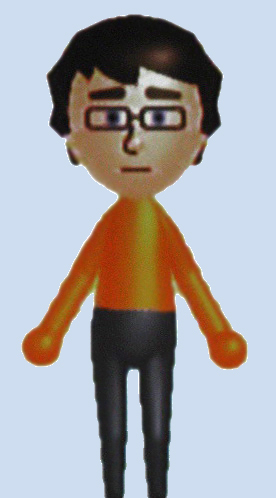 Is it just me, or has 2006 been a bit disapointing for new releases so far? Perhaps there are just more albums that need time to grow on me. But listening to an album repeatedly is like actually taking the time to build a relationship. It’s much more fun to fall in love at first sight (or sound). By this time last year I had fallen instantly in love with albums from Bloc Party, LCD Soundsystem, Stars and The Decemberists. 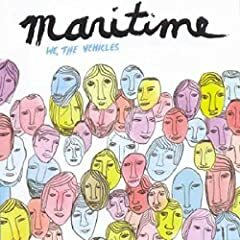 Though the new Belle & Sebatian and Destroyer albums have garnered repeat listening, the first album of ’06 that immediately caught my ear and refused to leave is Maritime’s We, The Vehicles. Maritime formed in 2003, consisting of Davey von Bohlen and Dan Didier from The Promise Ring and Eric Axelson, the bassist from Dismemberment Plan. Desoto Records released their first album – Glass Floor – in 2004. Guitarist Dan Hinz joined the band shortly thereafter and the new album, recorded last summer, has been out in Japan and Europe since fall 2005. Chicago-based label Flameshovel Records finally enabled the album’s stateside release. As a big fan of songs with indispensible melodic basslines, I’ve always loved the work of Eric Axelson. Alas, I was introduced to Dismemberment Plan too late to see them live and Eric is no longer touring with Maritime. His replacement Justin Klug began playing with the band shortly before their shows at SXSW. The CD is available in stores this Tuesday. There also exist 1000 hand-numbered blue vinyl copies, released March 7th, some of which are still sitting in the stockroom at Flameshovel Records. Oh, you want to know what it sounds like? Clean guitars, bouncy bass, judicious use of synths, thoughtful lyrics and restrained but confident vocals combine to form compact, upbeat alternative rock songs. Similar to Nada Surf and Death Cab for Cutie. There is a well-written review of the album by David Greenwald at CokeMachineGlow.